It's week 16 of Pat Sloan's Grandma's Kitchen quilt along! My family and I are really enjoying the comments my lovely readers are leaving. It makes me happy to know that Gramma is still making people smile. The name of this week's block is Small Change, inspired by the pocket change Pat's grandparents would give her as a child. From the theme of small change, my take features two ways that Gramma made a little money. As a young mom, Gramma wrote and took pictures for the Bemidji Pioneer. In her final years, she crocheted scrubbies that she sold at garage sales (and gave as gifts!). I don't have any clippings from her newspaper days, which is a bummer, because they would have been fun to read. Especially because I worked for my local newspaper when I was in high school and was a professional writer before my brain injury ended my career. 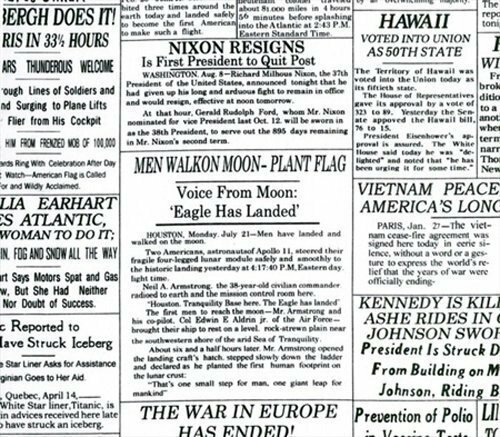 I bought the newspaper headline print a while back at a quilt show. I've been saving it for something special and this is it! As I was working on the block, I realized that most of these things happened during Gramma's lifetime: 1921-2013. It's really hard to get my mind around all the ways the world change in her lifetime. The dark gray print is from a fat quarter I picked up. I don't have the name of it, but I like it because it reminded me of Gramma's handwriting--hard to read cursive! The black text is a list of good life advice, which both Gramma Ann and Ann Landers were so good at dispensing. The red heart is made of netting. 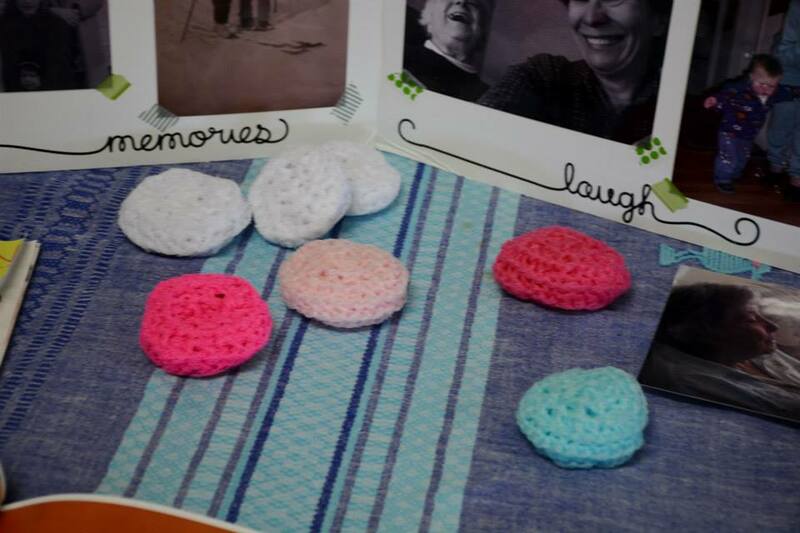 I couldn't make a quilt honoring Gramma's memory without including her scrubbies. Of course, netting is very snuggable, so I just cut two small hearts and appliqued them with red thread. The last time I was at Gramma's house in Arizona, I found this basket in a corner. 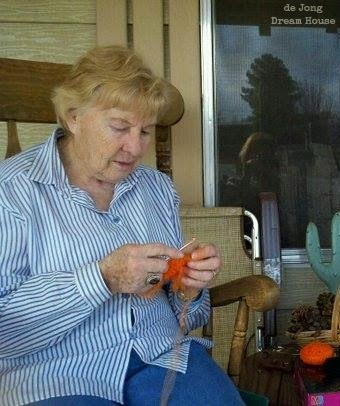 I think it was this same visit when Gramma tried to teach me to crochet. I just made a big knot. 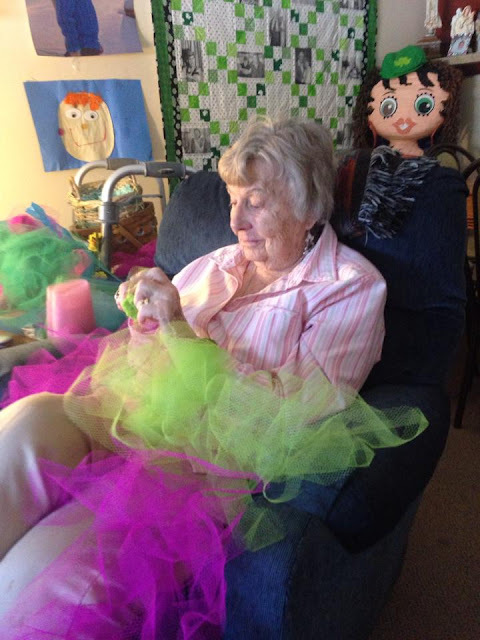 She said, "Maybe crafting isn't your thing." It was only a few months later that I decided to try quilting! 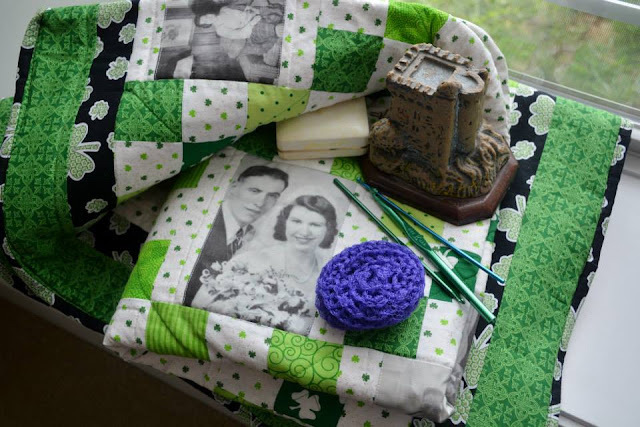 When Gramma passed away, my box included the quilt I made for her--which she slept under at the end, her Blarney Castle music box that plays "Danny Boy," the jade rosary I bought her when I was in China, a scrubbie, and her crochet hooks. I also received a box of clothes so I could make this memory quilt! At her memorial service, we had scrubbies on the memory table. 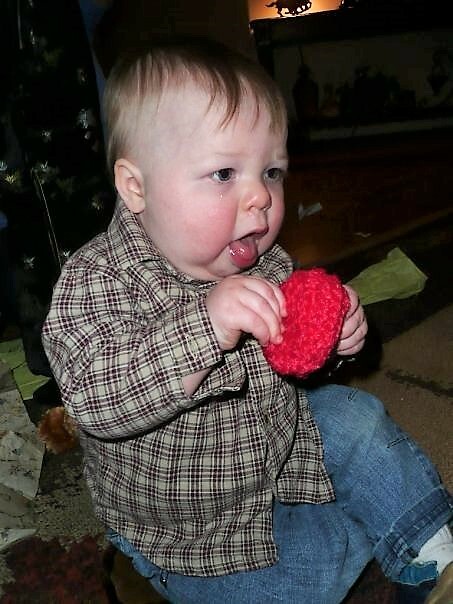 My favorite picture featuring one of Gramma's scrubbies is this one, though. How I miss those chubby cheeks! Gramma loved her babies! 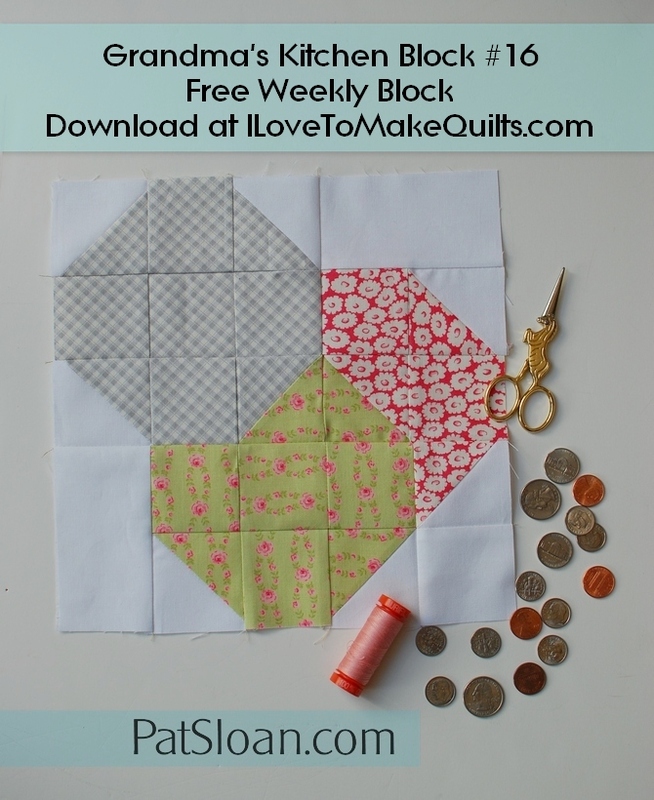 Quilters who are making their own Grandma's Kitchen quilt may notice that I didn't follow Pat's instructions for making this block. 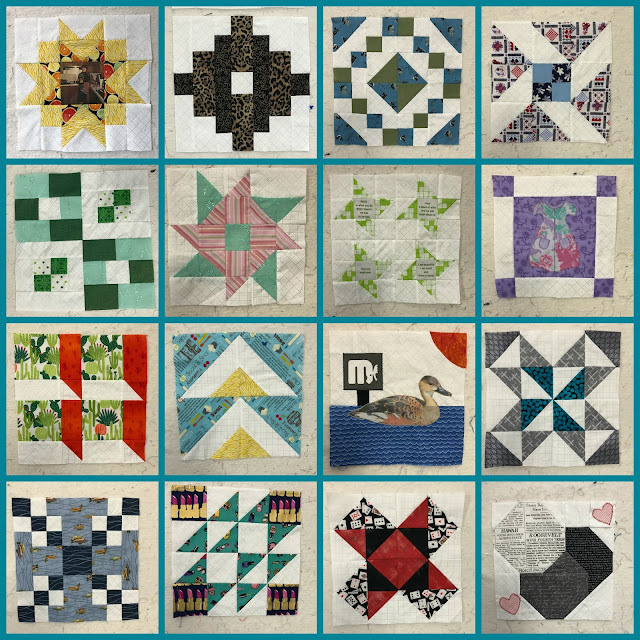 Instead of 16 squares and HSTs, I used larger pieces of each print to keep the text as whole as possible. And I must admit, I loved that I didn't have to trim half square triangles, even if I do love my new bloc-loc ruler. And she was a successful Avon salesperson for probably 25 years! It's so nice that you're making a quilt with memories of your grandmother. 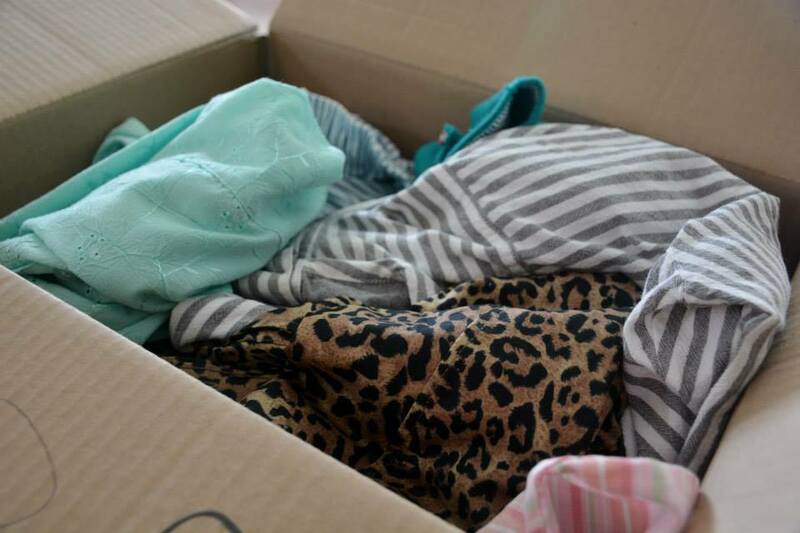 The blocks and fabrics are terrific. I have enjoyed the stories that go with each of your blocks. Our grandmas always hold such special places in our hearts. You are a busy woman! I just finished your other blog. Isn't it wonderful that we have such grand memories of our grandmothers. I feel sorry for those who never got to know theirs or have only hurtful feelings. Interesting to see how Pat's patterns are interpreted so many ways. 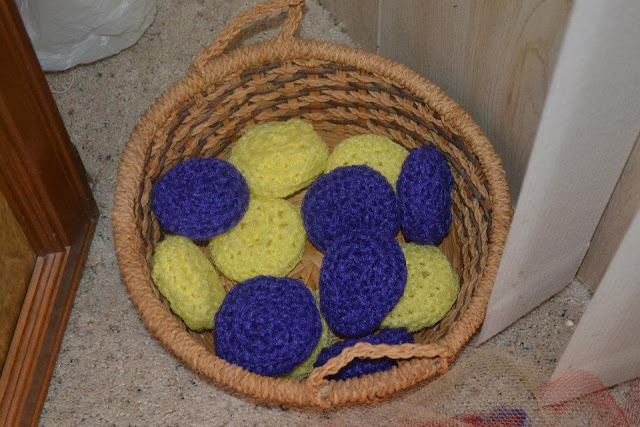 These blocks were just tailor made for you grandma! Love the story on this one! Your grandmother would be so proud of you, making this quilt! I love how she once said "Maybe crafting isn't your thing." She's smiling down now, so proud that she was wrong. Love your stories, love your grandma! Thanks for sharing her on Wednesday Wait Loss. Another beautiful block with an interesting story!! Thanks for sharing both! !